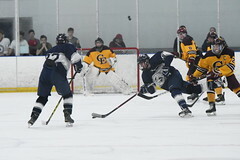 On Saturday, the Clippers rolled to a 6-0 win over a struggling Kennebunk/Wells squad. Liam Ireland ’20 made his goaltending debut in relief of Charles Henry Watson ’22 to share the shutout. 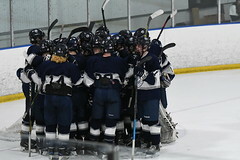 On Thursday night, Yarmouth will travel to Augusta to take on Gardiner in a big divisional match-up. Game time is 8:40 pm. 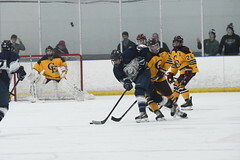 Isaac Grondin ’22 returned from injured reserve to make his Varsity debut and wasted little time in putting away an Alec Morton ’19 rebound for the opening tally. Kurt Heywood ’19 (unassisted) and Michael Guertler ’19 (King, Marjerison) added goals in the first period for a 3-0 lead. Jacob Veilleux ’20 with a clean, punishing check in the second period. Aidan Miller ’20 added two goals in the second period with assists going to Guertler on both goals, and single assists to Buthy and Marjerison. Kurt Heywood (Grondin, King) picked up another goal in the closing minutes for a 6-0 final score. Liam Ireland combined with Watson for the shutout. Ireland boasts a 1.000 save percentage.